Hurricane Florence tore through the Carolinas, leaving entire cities devastated, claiming dozens of lives, and doing what will likely be billions of dollars in damage. But this hurricane has exposed much more than tree roots and the foundations of homes — it has exposed the gross and growing inequality embedded in our state. For years, eastern North Carolina has been home to some of the state’s most impoverished towns and communities. In 2016, 19 of the 20 poorest counties in the entire state were all located in the east. In addition to poverty, eastern North Carolina is also home to some of the state’s hungriest communities. In 2016, more than 300,000 people in the 18 counties declared disaster areas did not have enough food to eat each night. In Robeson County, for example, one of the counties most impacted by flooding, both recently with Hurricane Florence and two years ago during Hurricane Matthew, nearly 28 percent of residents and 38 percent of children live below the federal poverty line. 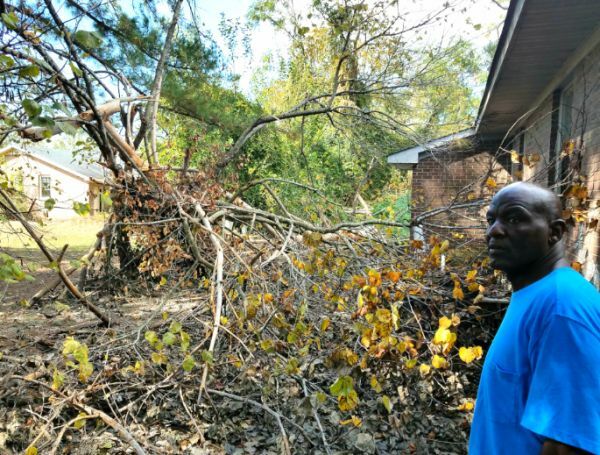 In New Hanover County, where Hurricane Florence made landfall, more than 19,500 residents live in six neighborhoods that have poverty rates above 40 percent. These neighborhoods and communities that have persistently experienced elevated levels of poverty for decades are the same ones we see inundated with water today. So how can the part of our state that has historically been the agricultural and manufacturing engine of our economy be suffering from both poverty and hunger? Not by circumstance, but by policy choices, historic and present, that has cut out far too many from prosperity, even in a growing economy. As a result of generations of redlining, racial housing covenants, and other forms of housing discrimination, many Black and brown communities in the east are often situated in lower-lying geographies and flood plains, making them especially susceptible to damage from powerful storms. In addition to being vulnerable to environmental disasters, these communities have yet to recover from the last economic downturn of a decade ago. While the state is returning to pre-recession economic measures, much of eastern North Carolina still lags behind. Since the 2007 Great Recession, every racial and ethnic group in the state has returned to pre-recession levels of poverty except Latinx and Native communities, which make up a disproportionate number of residents in these affected counties. In fact, more than 38 percent of residents in Robeson are Native families while more than 21 percent of families in Duplin, another county hit hard by the storm, are Latinx. Poverty levels among North Carolinians of color across the state remain well above 20 percent, while the poverty rate for white North Carolinians has dropped to 10 percent. With as much celebration as has occurred in recent months regarding low unemployment and growing GDP, it seems that we are in a prime situation as a state to turn our attention away from austerity, and towards addressing deep and persistent inequality. Unfortunately, rather than enacting policies to strengthen our communities, policy makers have thus far chosen to ignore them. Failing to expand health insurance, refusing to raise the minimum wage, attacking critical support programs like the Earned Income Tax Credit and SNAP (formally known as food stamps) are all ways in which our leaders have neglected North Carolinians who need help the most. Happily, it’s not too late to chart a better course and storm recovery provides an ideal vehicle to commence that process. Policymakers can and should ensure that recovery efforts and resources are applied in ways that are equitable, mitigate past inequalities, and focus on building communities that have the ability to be resilient. 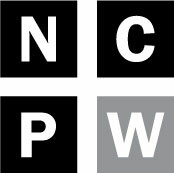 Proactively investing in hazard mitigation infrastructure, committing to common-sense environmental protection policies such as regulating hog waste and coal ash disposal, and investing in public education, jobs training, and wage increases for low-wage workers are among the critical next steps. The linkage between race, poverty, and policy choices is clear. Our leaders have elected to neglect disenfranchised and oppressed communities. They now have the opportunity to do the right thing and commit to building a strong, and inclusive North Carolina. Brian Kennedy II is a Public Policy Fellow at the North Carolina Budget and Tax Center.